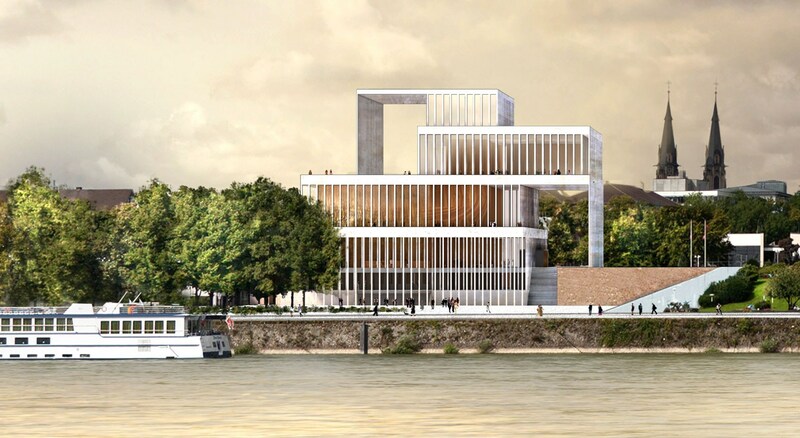 Some of the biggest names in architecture have been whittled out of a competition to design a new Beethoven Concert Hall—or Beethoven Festspielhaus—in the composer’s hometown of Bonn, Germany. 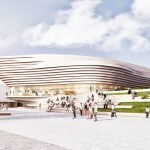 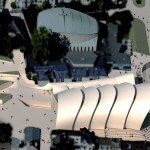 When the competition’s short list of ten proposals became an even-shorter list of three, the likes of Zaha Hadid, Snøhetta, JAHN and UNStudio were sent packing. 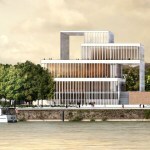 David Chipperfield, however, made it through and is joined in the final three by Valentiny hvp architects from Luxembourg and Kadawittfeldarchitektur from Germany. 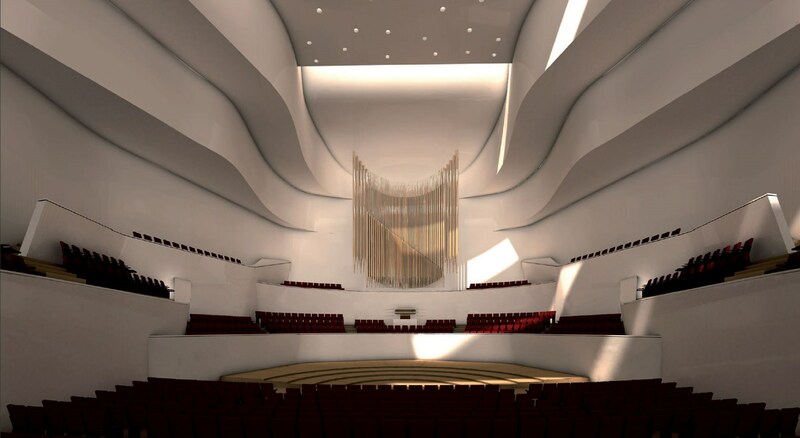 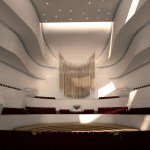 The new hall, which is slated to break ground in 2016, is expected to host celebrations for Beethoven’s 250th birthday in 2020, and the 200th anniversary of his death in 2027. 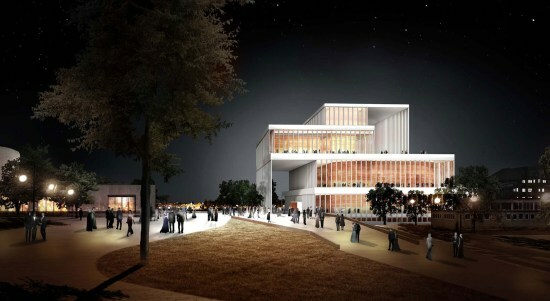 Out of the three finalists, Chipperfield definitely presents the most conservative scheme with four stacked cubes made of glass and spun concrete columns. 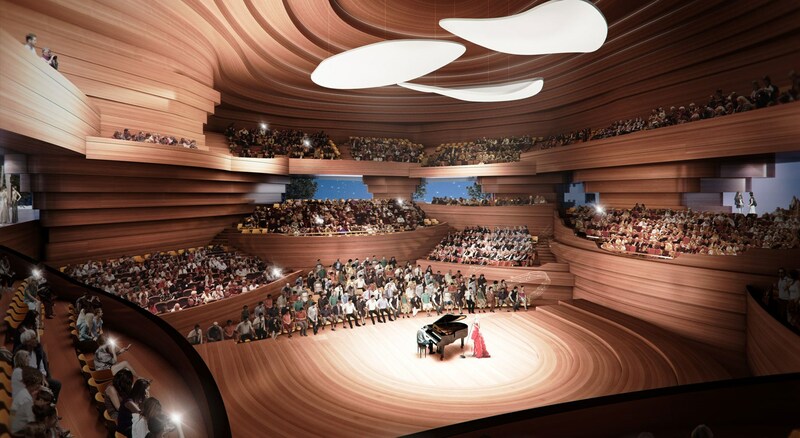 “Assembled at various depths, the four segments combine to create a whole of architectural virtuosity,” explained the competition on its website. 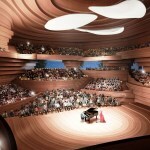 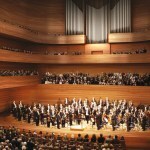 The actual concert hall is wrapped in a grained walnut veneer that can be seen through the structure’s façade. 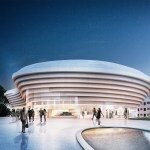 Kadawittfeldarchitektur takes a more dramatic approach with an amorphous structure clad in rippling bands of stone. 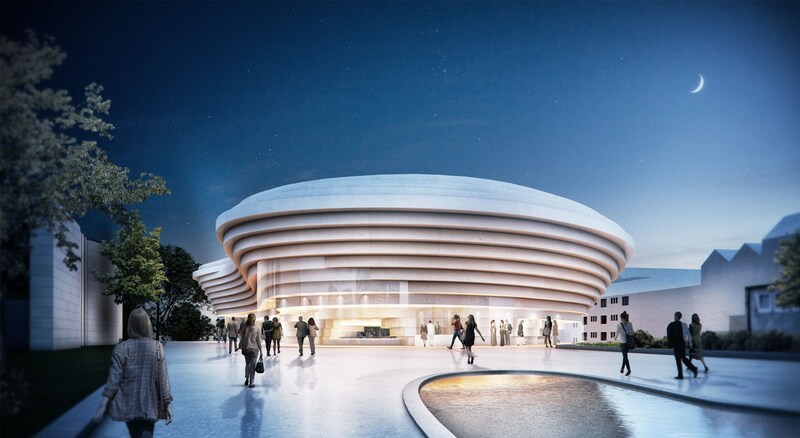 The main structure is separated from a landscaped seating area through a glass enclosure. 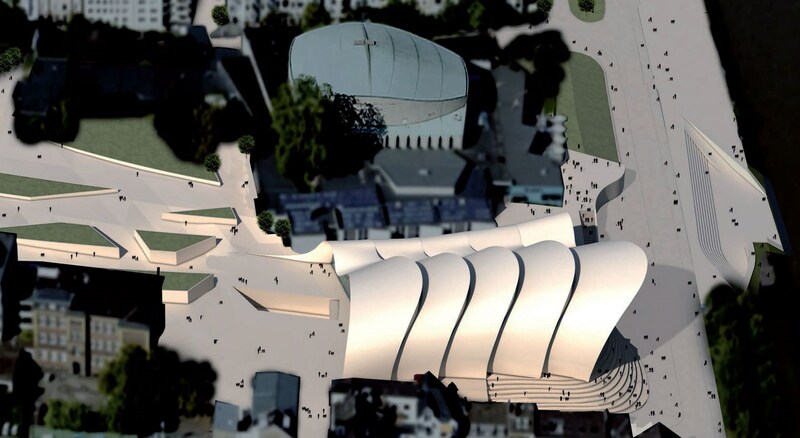 Oddly enough, the plan from Valentiny hvp architects looks more like “Zaha” than what the Queen of Swoop submitted herself. 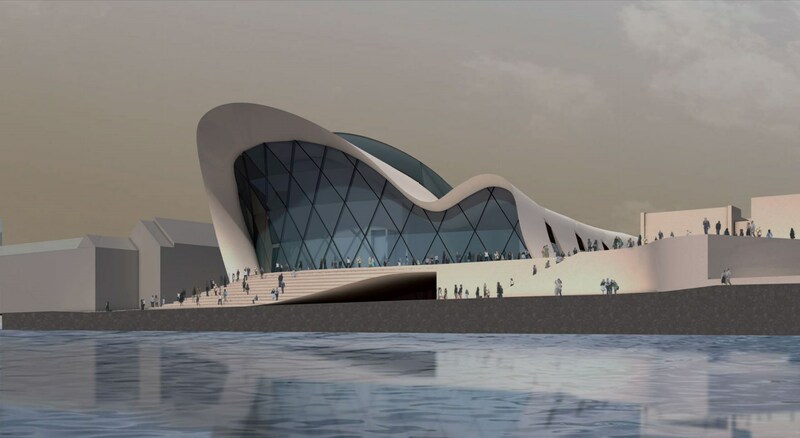 The firm creates a series of “overlapping bands of waves” that are said to crest behind a massive, Rhine River–facing glass wall. 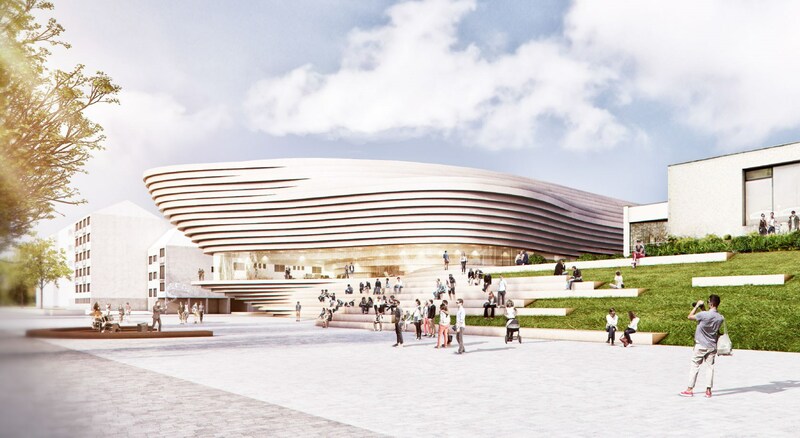 You can see Zaha’s proposal and the nine others that were short-listed on the competition’s website. 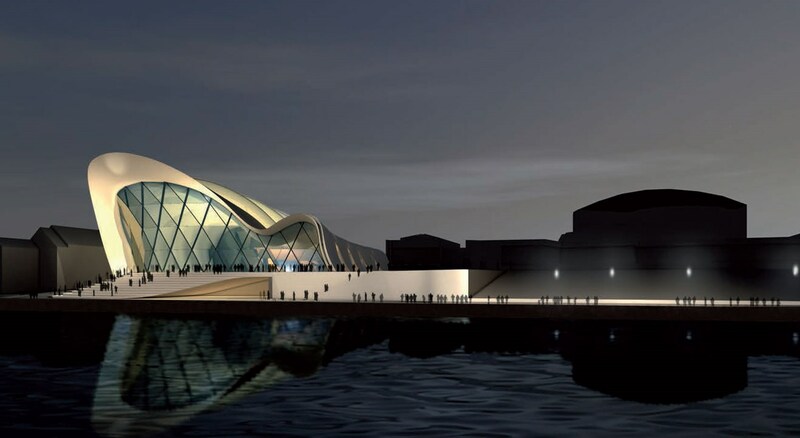 One of these three final proposals is expected to be selected next year, following a cost estimation. 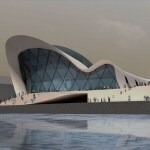 The project is being privately financed, but is getting an injection of 39 million euros from the German government. 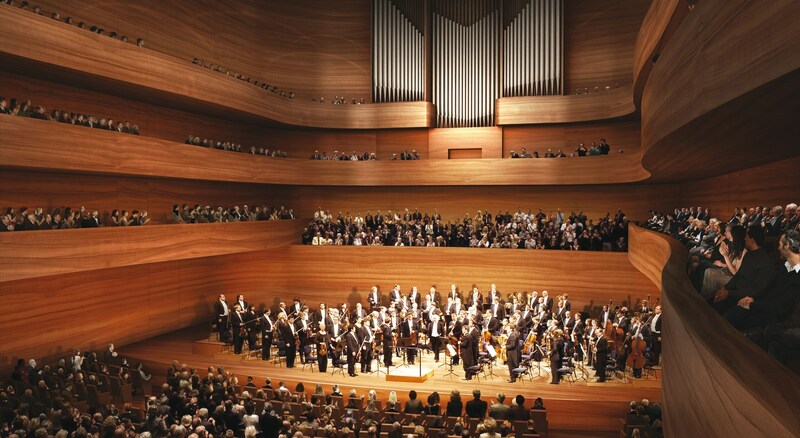 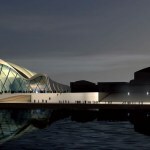 The concert hall is expected to open in 2019.